These are samples of a 6 week old’s daily routine / schedule to give you an idea of what other babies might be doing at the 6 week mark. The most important thing to remember is routines are very rare at this age! Unless you are by a clock based routine and don’t mind long periods of crying and being unsettled (I’m talking about baby, but mom might also experience this if trying a routine on a newborn) your baby probably won’t have a routine, and it will be difficult to ‘put baby on a routine’. 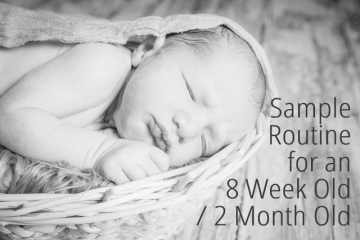 Also remember, that 6 weeks is usually the peak in newborn crying and being unsettled, so you may have cranky baby for a week or two before they start to settle down (one reason for this is the 5 week wonder week). 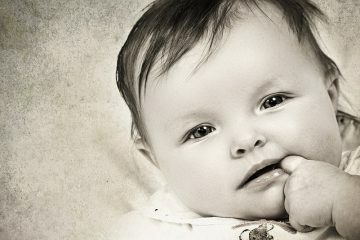 Most babies settle into a predictable pattern by the 3 to 4 month mark, some earlier, some later. At this age every day will still be different, you may start to see a pattern emerge, but lots of babies still have very unorganized days. One of the most important points at this age, if you are wanting to create a routine eventually, is to focus on creating a bed time that is reasonably consistent. Come up with a bedtime routine (bath, story, feed, music, cuddles etc), choose a bedtime (most experts will agree that between 6:30 and 7:30 is perfect) and try to keep the actual bedtime within half an hour of your chosen time, every night. Of course this won’t always happen, and don’t worry if it doesn’t, but having a goal and aiming for it is a start! The other important point is having consistent awake times. Inconsistent or long awake times is the number one reason for over-tired and cranky babies! 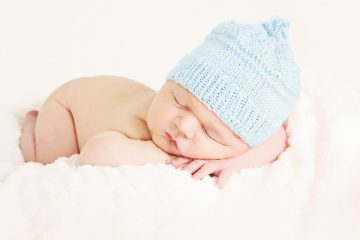 See baby awake times for this age which will help you if you are wanting to gently easy your baby into regular patterns of sleeping and feeding. The samples below are just that, samples. They are a general guide and will probably vary day by day. I highly recommend taking a look at the book The Baby Whisperer by Tracy Hogg, it will help you with your routine / schedule and give you so much peace of mind! 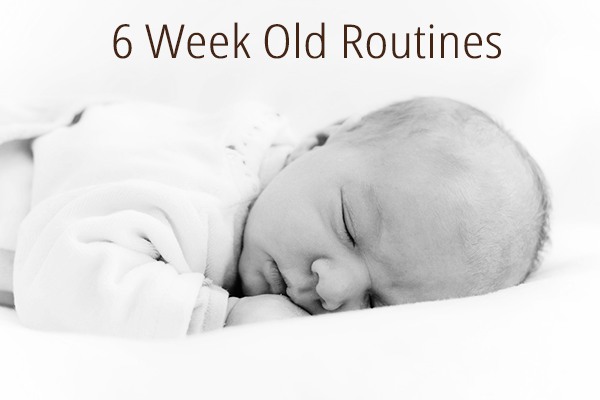 Do You Have a Question About Your 6 Week Old’s Routine?? Ask all your questions here, or just check in for some reassurance!